Frostburg State University in Maryland is bolstering its mass communications program with the addition of a Thomson Grass Valley Indigo AV Mixer to its campus television studio. It will be used to support a wide range of programming that's available via local cable. Frostburg's TV station, TV3, operates from fall through spring, with 80 percent of its content produced by FSU students, including news, documentaries, sports coverage, and coverage of local government. 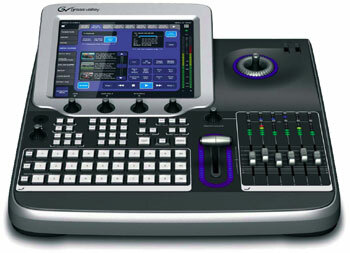 The Indigo AV Mixer will be used to combine multiple camera feeds, audio sources, and graphics in these productions. The Indigo AV Mixer includes video, computer, and audio source switching, analog and digital mixing, HD/SD simultaneous I/O, built-in keyers, various 2D and 3D effects and transitions, analog and AES/EBU audio, parametric EQ, and audio delay management for live productions. Thomson said the Indigo AV Mixer has been installed in more than 20 educational institutions to date. Frostburg State University serves some 5,200 undergraduate and graduate students.